Andreas Lentakis (o Lendakis, Ledakis) [1935-1997]. Ανδρέας Λεντάκης [1935-1997]. "Scritta da Theodorakis nelle prigioni della questura di Atene, dopo il colpo di Stato dei colonnelli greci, e dedicata ad un giovane comunista torturato perchè rivelasse il nome dei suoi compagni" (Nota al testo della canzone inclusa nel disco "Questa grande umanità ha detto basta! - Canzoni di lotta di tutto il mondo", Il Canzoniere Internazionale, I Dischi dello Zodiaco). Il testo greco proviene da questa pagina. Andreas Lentakis, a Greek expatriate, was born in 1935 in Antis Abeba, Ethiopia. Although his roots were in the islands of Karpathos and Crete, he grew up and graduated from high school in Ethiopia. He enrolled at the University of Athens in 1953 to study Philosophy with a scholarship from the Greek-Ethiopian Community. His social activism and the depth of his intellectual thinking had already distinguished Andreas Lentakis by the time of his graduation from the Department of History and Archaeology. In addition he was fluent in Greek, English, French, Spanish, Italian and Ethiopian. Most importantly he was one of the leading figures of the students' movement in the 1950s and 1960s. He was the man behind the political slogans "1-1-4" and "15% dowry to education and not to Princess Sophia", which marked a whole era. His political activism began in 1955 when he became a member of EPON, an outlawed political movement. From 1958 onwards he was a member of the Youth Movement of the Left Political Party EDA. He was one of the founding members and head of International Affairs of DESPA. In addition he was a founding member and Secretary General of the Students Union in the School of Philosophy, a founding member of the Association of Working Students, as well as for some time chief-editor of "Panspoudastiki", the student movement's magazine. Andreas Lentakis was also a leading figure of the "G. Lambrakis" Democratic Youth Movement. Andreas Lentakis was known world-wide for his revolutionary activism against the Colonels' junta who overthrew the Greek democratic government in 1967 and imposed military rule in Greece till 1974. For this activism he was imprisoned and exiled for 4 years. At that time Mikis Theodorakis composed "Andreas' Songs" to commemorate his ardent democratic convictions and the tortures he suffered in the hands of the military police as a result. The junta sent Andreas Lentakis into political exile to the islands of Andros, Milos, Leros and to Oropos in mainland Greece. In Milos he engaged in and promoted research and writing on the island's history. After the collapse of the military junta in 1974 and the restoration of democracy in Greece, Andreas Lentakis became a founding member of the new EDA political party and its Chairman from 1987 to 1993. He was repeatedly elected Mayor in the City of Hymittos, in the outskirts of Athens, in 1978, 1982 and again in 1986. During his service as Mayor Andreas Lentakis founded the first "Open University" in Hymittos, an institution which he also introduced throughout Greece and in the Greek communities in Belgium, Germany, Cyprus and elsewhere. He inspired and created the first municipal KAPI (Open Care for the Third Age), the "Theatre of the Rocks" with 3,000 seats and many other innovative social and cultural programmes. 1989 and 1990 was elected as a member of the Greek Parliament. In June 1993, after resigning from the Parliament and the Chairmanship of EDA, he joined the newly established political party of "Politiki Anixi" (Political Spring). In the October 1993 elections he received the highest number of votes and was named Parliamentary Speaker of the Party. However, Andreas Lentakis did not limit himself to the political arena only. He published hundreds of scientific articles and over thirty books, including: "Anakreon and Anakreontia" (1974), "Illegal Organizations and April 21st" (1975), "Panayis Lekatsas, Founder of Ethnology in Greece" (1970), "The gentlemen of Milos and their coat of arms" (1983), "Democracy and local self-goverment" (1986), "Greek Anthology" (five publications), "Has Marx said everything?" (1990), "Sacred Prostitution" (1990). Unfortunately, Andreas Lentakis did not have the happiness of seeing his life's work "Love in Ancient Greece" published. The publication of the work in a series of volumes began in 1997 by Kastaniotis Publications, starting with volume A "Love in Religion or the Ideology of Love"; volume B "The period before Patriarchy"; volume C "Prostitution" and lastly volume D "The Courtesans". 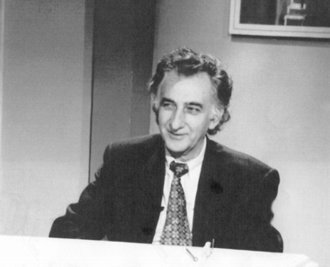 Andreas Lentakis protected human rights and dignity with his theories and actions during his lifetime. kje to kjeljí mas kókino uranó. conto i colpi, misuro la sofferenza. quest’oggi a te, domani tocca a me. conto i colpi, misuro il sangue. resisto bene, stai tranquillo, non cedo. tac-tac fai tu, tac-tac rispondo io. e nella nostra cella è un cielo color sangue. Dal disco "Contro-canto popolare" - Dischi del Manifesto. Incisa per la prima volta dal Canzoniere Internazionale in Questa grande umanità ha detto basta - Dischi dello Zodiaco VPA 8142. Écrite par Théodorakis dans les prisons de la police d'Athènes, après le coup d'État des colonels grecs du 21 avril 1967 et dédiée à un jeune communiste torturé afin qu'il révèle les noms de ses camarades. Ce jeune homme était Andreas Lentakis (o Lendakis, Ledakis) [1935-1997]. Ανδρέας Λεντάκης [1935-1997]. Je compte les coups, je mesure la souffrance. Aujourd'hui, c'est à toi, demain c'est à moi. Je compte les coups, je mesure le sang. Je résiste bien, ne t'inquiète pas, je ne cède pas. Tu fais tac-tac, tac - tac je réponds. Ta-ta-ta pour toi, ta-ta-ta pour moi. Au travers du mur, nous sommes ensemble encore une fois. Ta-ta-ta-ta ta-ta-ta-ta « je ne parlerai pas ». az ütéseket és a szenvedést mérem. az ütéseket és a vért mérem. a zárkánkban vérszínű ég van. Greece had two leaders who really took care of the People. Perikles in the ancient Greece and Andreas Papandreou in modern Greece. I have been looking for this song a lot. I am grateful to you to let me download it. Occorre una correzione: la canzone non è eseguita in Siria, ma come chiaramente si vede nel video, ad a Atene. Canta TAREQ HANOUF e lo ascoltano immigrati, probabilmente siriani. "Il mattatoio", la versione italiana di Leoncarlo Settimelli, dal disco del Canzoniere Internazionale intitolato “Questa grande umanità ha detto Basta! 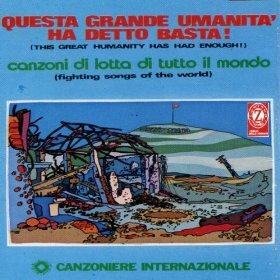 - Canzoni di lotta di tutto il mondo”, pubblicato da I Dischi Dello Zodiaco nel 1972.